Hay Creek Kennel is your one stop destination K-9 campus. Our full service kennel offers the complete package of training, boarding, grooming, and transportation for your dog. For over 18 years, it's been a family run, 24/7 operation dedicated to your dog. From English Pointers to Shih-Tzus, we are experts in training all types of dogs. Our Low Pressure, High Energy, Positive training model sets up all dogs for success. We guarantee all of our work and additionally work with the owner so that the skills transfer home. Our privately fenced 40 acres provides the ultimate boarding experience for dogs. We take pride in our facilities ensuring the utmost level of cleanliness. We also provide transportation to and from for your dog if needed. Is it a chore to wash and trim your dog? 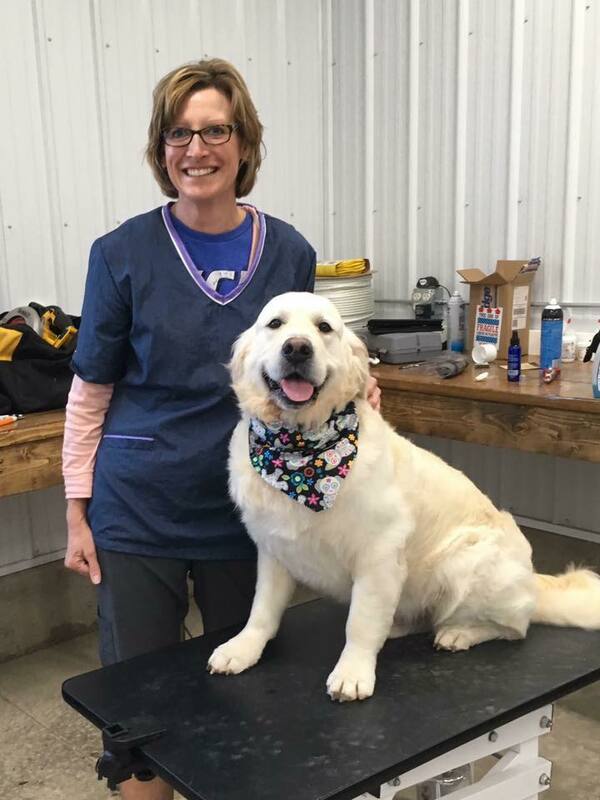 Hay Creek Kennel offers exceptional grooming services with the highest quality equipment. It can be hard to recognize your dog afterwards because they are so handsome! No time to drop and pickup your dog? Hay Creek kennel offers a K-9 Cab to pick up and return your dog at your convencience. We understand there's a lot of options out there...And that's OK.
You want the best for your dog. It's your companion and part of your family. It takes a lot of trust to let us take care of him and we believe we've earned that trust. Hay Creek Kennel has been training and boarding dogs for over 18 years. We've worked with every type of dog and provide the best experience possible. Guaranteed. We just dropped of my new English Setter Coral with Sonny. We weren't even out of the driveway and the wife said “this is the best set up she's ever seen. So clean! Really looking forward to picking her up in a couple weeks”. We've been bringing our GSPs to Hay Creek for several years. The dogs are excited to arrive because they know they get to work and they love it! People who hunt with us and our dogs tell us how well trained they are, and the credit really goes to Sonny and Hay Creek Kennels. I have been there on 3 separate occasions and it is always the cleanest kennels I've ever seen. Hay Creek Kennel is the finest training and boarding kennel in the mid-west. Sonny is a premier dog trainer and understands dog behavior like nobody else in the business. If you are looking to get greatest potential out of your dog, no matter the breed, look no further than Hay Creek Kennel! Sending your dog to HCK for some training, or attending a seminar yourself, is the best thing you can do for your dog! Awesome trainer and the cleanest kennels you will find. Just picked my dog Chance, a Brittany Spaniel up from Hay Creek Kennels after he was there for training for a month, well I could not believe how well he had been trained in such a short time, he would now heel whereas before he would just do his own thing, he had been out of control. He would now respond to my body language, without me saying a word. I used to holler at him to no avail. What a joy to be able to enjoy my dog, that now listens and hunts. points and I'm looking forward to hunting over him this fall. Thanks, Sonny for training my dog and showing me how to be in control of Chance. Sonny has been a great Mentor and friend for last couple years now! His knowledge about dogs and his ability to coach and teach is hard to compare! 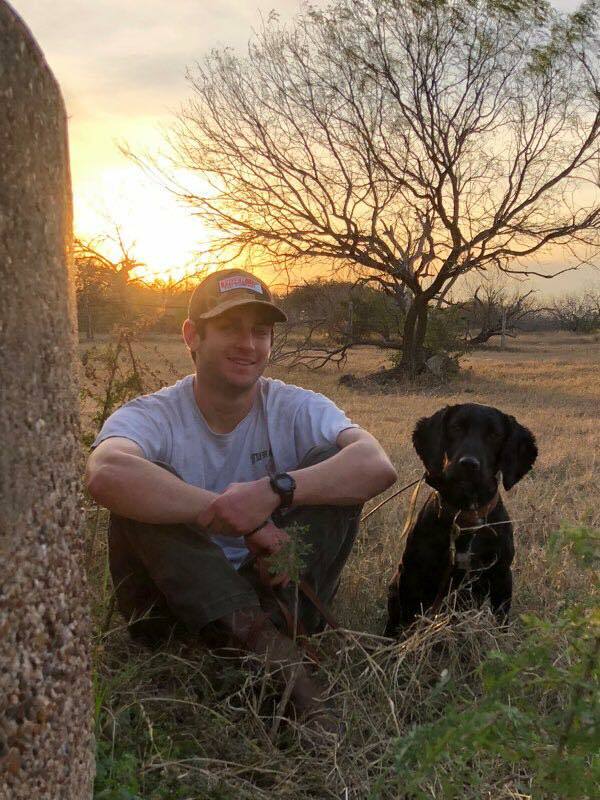 This past winter I sent my German Shorthair to South Texas with Sonny and I'm extremely happy with the whole experience and would highly recommend Hay Creek Kennel for any service they offer! They are professional and most of all they treat you like family. Loved that Shannon was able to come and pick up our dog to be boarded, definitely a one of a kind service. My husband was amazed at how quiet it was when we picked up our dog compared to the other kennels we had used. Can't wait to board our dog again! I had my pup at Hay Creek for a couple of weeks this summer. I was thoroughly impressed not only with my pup's development, but in the time that Sonny took to explain the methodology and why it is effective, and his philosophy on dogs in general. I would recommend Hay Creek to anyone who is committed to raising a confident well-rounded hunting companion. When you drop off our dogs they become part of our family. Nestled away on a half mile dead end road lies an 80-acre paradise we fondly refer to as Hay Creek Kennel. It is a family owned and operated facility founded on strong family ties and values, support of friends, and true respect and love for dogs.